What are les liasons dangeroux between hepatitis C and kidneys? Hepatitis C virus (HCV) infection enhances on the one hand the risk of chronic kidney disease (CKD) and on the other hand the treatment of end-stage renal disease (ESRD), including hemodialysis and kidney transplantation, may increase the risk of “de novo” nosocomial HCV infection and has a detrimental impact on the severity of the underlying liver disease (especially in kidney recipients) and on the extra-hepatic manifestations of HCV infection The latter include an increased risk of diabetes and vascular diseases. The reduction of HCV-infected patients (and allografts) survival in this setting (1) highlights the need of first intensive (and repeated) screening of HCV infection in CKD patients and second of their facilitated access to care. What is the burden of HCV in CKD patients? Over the past 3 decades, the improvement of hygiene standard rules in hemodialysis centres, the systematic screening of blood and organs donors, the extensive use of erythropoietin with a reduction of transfusion and implementation of systematic and hepatitis B vaccination have decreased the prevalence and incidence of HCV infection in CKD patients, which however remain higher than in the general population. The decline overtime is marked with a prevalence of 14.7% in DOPPS 2004 study (2), of 9.5% in a recent analysis of DOPPS study (3) and only 1.4% in a recent study in 72,948 CKD patients from the National French registry of ESRD (4). What are the mechanisms of renal damage in hepatitis C? The impact of HCV infection is related to both cryoglobulinemic vasculitis and to chronic inflammation which enhances the risk of renal deterioration, diabetes and vascular disease increasing thereby the risk of morbidity and mortality (5-7). In addition, significant renal impairment (stage 4-5 CKD) increases: 1. the risk of “de novo” HCV infection because of dialysis which increases occurrence of diabetes and vascular disease; 2. liver (enhanced risk of cirrhosis associated with immune suppression) as well as renal (de novo glomerulonephritis) deterioration in kidney transplant recipients (6). Interestingly, while systematic nucleos(t)ic analog-associated suppression of hepatitis B le to “normalized” survival of HBV-infected kidney recipients (and allografts) as compared to HBV- or non HBV-/non HCV-infected kidney recipients, HCV infection stands as a negative factor of reduced patient and allograft survival. Modeling studies suggest that HCV suppression will result in a “normalization” of survival in those patients (Dr H.Fontaine, works in progress). What are the risk factors and how can we counteract them ? In France, the incidence of HCVinfection during the first year of dialysis is 21.3 per 10.000 population per year (4) which identifies the hemodialysis population as a still at high-risk grpoup, further measures being needed to decrease HCV incidence in ESRD patients. There is no need for physical isolation during dialysis or of dedicated machine utilisation for infected patients to prevent HCV transmission (6). Given HCV incidence during the first year of dialysis, a regular (each 6 or 12 months), serological screening for HCV is recommended to dialysis patients. In an analysis of more than 8500 HCV-infected subjects from the Hepather CO22 cohort, renal abnormalities, as defined by a eGFR ≤60 ml / min /1.73 m2, were observed in 6.3 % (95% CI: 5.8 -6.9%) (Thervet et al. Works in progress). In multivariate analysis, predictors of CKD were the usual suspect, ie age 1.7 (OR (95%CI): 1.6-1.9), hypertension 4.4 (3.4-5.6), diabetes 1.8 (1.0-2.4), prior history of cardiac disease 1.6 (1.0-2.4) and hypercholesterolemia 1.4 (1.0-1.9). Finally, cryoglobulinemia is detectable in half of HCV-infected patients and one third has renal impairement which may be improved by antiviral therapies (7). According to the EASL guidelines, all HCV infected patients, including ESRD patients, should be treated in order to reduce the risk of hepatic and extra-hepatic complications (especially renal deterioration and diabetes in patients having chronic kidney disease)(8). HCV-infected kidney transplant recipients should be treated given the harmful impact of HCV on patient and allograft survival (5-6). The direct acting antivirals (DAAs) provide more than 95% rates of sustained viral response (SVR) corresponding to a cure ,with a fair safety even in patients with stage 4–5 CKD (9). EASL recommends ribavirin-free and sofosbuvir-free regimen in CKD patients with eGFR <30 mL/mn/1.73 m2 ,owing to the fact that potentially toxic metabolites of Sofosbuvir are renally excreted and dose adjustment is currently not recommended for this regimen(8). 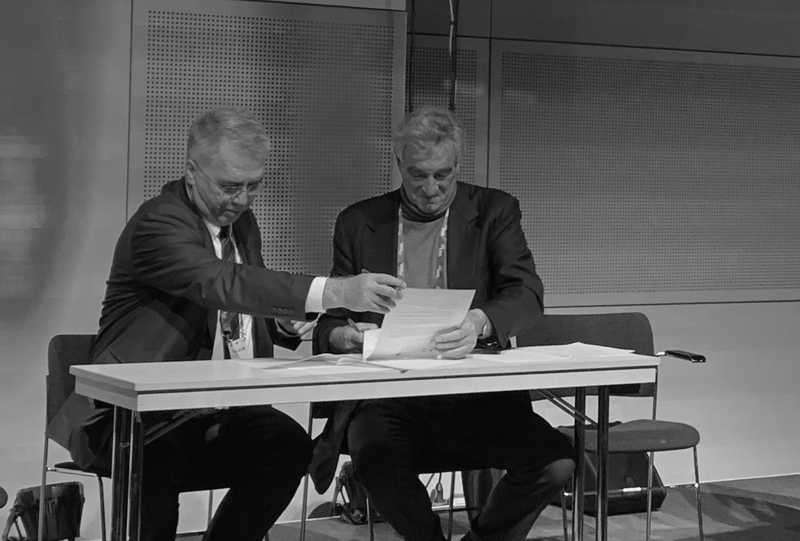 The awaited KDIGO recommendations should indicate what are the best DAA combinations to choose according to the renal function, the severity of the liver disease and the virus genotype. Hepatic function improvement is not the only benefit of HCV eradication, since it is associated with a reduced risk of diabetes, chronic kidney disease, end-stage kidney disease, cardiac events and stroke in patients with diabetes (10). 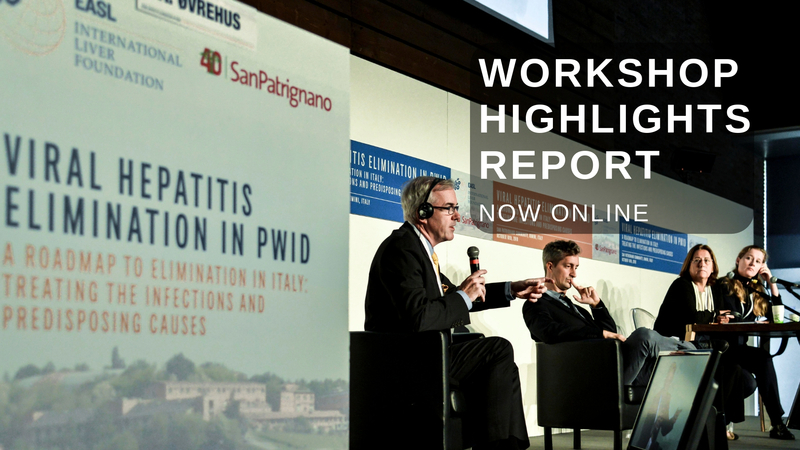 What are the challenges/opportunities ahead in eliminating HCV in this target group? There is a reduced access of ESRD patients to antiviral treatments: only 1% of dialysis patients and 3.7% of patients on the waiting list for renal transplantation have been treated between 2002 to 2011(4). In HCV-infected patients with CKD and CKD patients with HCV infection, the main two challenges are first screening of HCV infection and evaluation of the renal function and second linking diagnosis of HCV to antiviral therapy. Any patient with CKD should be tested at least once for HCV infection (anti-HCV antibodies and HCV RNA if positive) and should be treated and cured (test and treat?). As an example, there is an estimate of around 1,000 dialysis patients who should be considered for HCV treatment in France. In addition to the individual benefits, scaling up of Interferon-free therapies for HCV infection in dialysis complies with the strategy elaborated by WHO of treatment as a prevention of transmission of HCV leading to general epidemiologic benefits. This is even more so in HIV coinfected patients on dialysis,where HCV infection is 10-fold more frequent than in non HIV-infected dialysis patients (15.53 vs. 1.27%, respectively)(4): this imposes the development and implementation of targeted group-specific public health educational interventions to improve knowledge about viral transmission in order to reduce the community-acquired infections and to accelerate access to care. Professor Pol what are your bullet recommendation? Any HCV-infected patients should be evaluated for renal function and any impairement of the renal function should result in treatment.In the face of little concerns regarding the impact of anti HCV drugs on renal function, there is no doubt that eradicating HCV will improve or at least stabilize the renal function (10),with survival benefits following a reduction of the hepatic and extra-hepatic (mainly vascular and diabetes-associated) complications (10). HCV elimination is an achievable target in the dialysis population and in the renal transplantation setting. A multidisciplinary approach is deemed necessary to prevent and treat HCV which will allow HCV elimination from the “nephrology field”. Fissell RB, Bragg-Gresham JL, Woods JD, et al. Patterns of hepatitis C prevalence and seroconversion in hemodialysis units from three continents: the DOPPS. Kidney Int. 2004; 65(6):2335-42. Gordon CE, Francis J. Hepatitis C treatment in dialysis patients: is a new dawn approaching? Am J Kidney. 2014; 64(2):178–80. Isnard-Bagnis C, Couchoud C, Bowens M. et al. Epidemiology update for Hepatitis C Virus and Hepatitis B Virus in End Stage Renal Disease in France (Réseau Epidémiologique et Information en Néphrologie registry). Liv Int. 2017 [Epub ahead of print]. Saadoun D, Resche-Rigon M, Thibault V, Piette JC, Cacoub P. Antiviral therapy for hepatitis C virus – Associated mixed cryoglobulinemia vasculitis: a long-term follow up study. Arthritis Rheum 2006;54:3696–3706. European Association for the Study of the Liver. 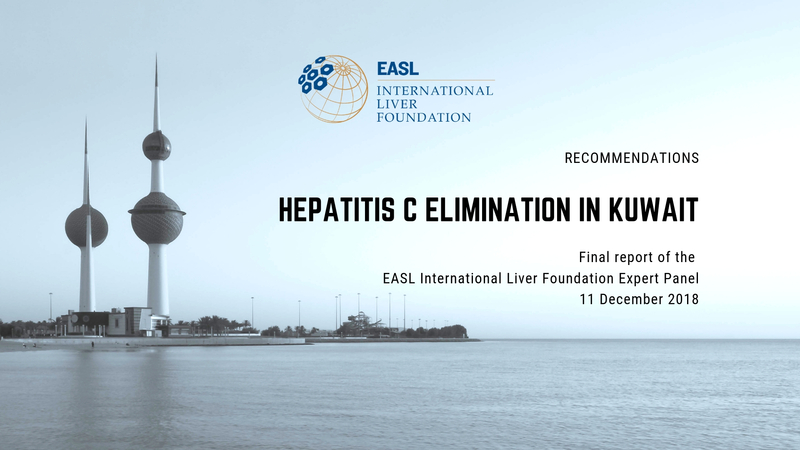 EASL Recommendations on treatment of hepatitis C 2015. J Hepatol 2015; 63: 199-236. Li T, Qu Y, Guo Y, Wang Y, Wang L. Efficacy and Safety of DAA -based antiviral therapies for HCV patients with stage 4–5 chronic kidney disease: A Meta-analys. Liv Int. 2016 [Epub ahead of print].